Consumption of too much alcohol may create an imbalance of good and bad bacteria in the oral cavity. According to reports, your mouth contains a good combination of both good and bad bacteria. If you regularly drink alcoholic beverages, then it disrupts the mix of oral microbes. This imbalance may cause gum infections, heart diseases, etc. There are several types of research conducted on people who consume alcohol daily. 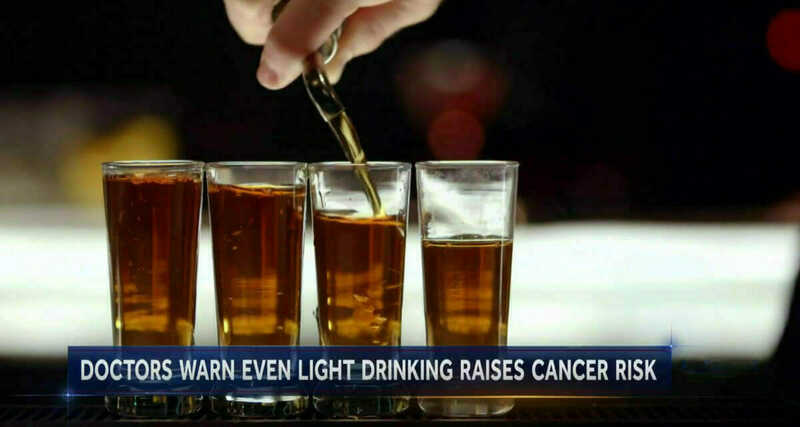 These reports are compared with ones who are non-alcoholics. Some of the reports from the Perlmutter Cancer center in New York City suggests that the good bacteria or microbes gradually reduced in people who consume alcohol. It is also observed that it increased the number of inflammatory bacteria in the oral cavity for regular alcohol drinkers. The study reveals that there are more than 700 types of bacteria present in the oral cavity which when balanced properly can prevent many diseases. Many different species of microorganisms reside in the oral cavity which helps us to build our immunity, maintain health, aids in digestion and prevents diseases such as cancer. Some unhealthy microbes such as Bacteroides, Actinomyces, and Neisseria are found in heavy alcoholic individuals. Alcoholics also had less good bacteria such as Lactobacillales which is said to improve the health. Imbalance in the microbes which resides in the oral cavity might cause problems such as bad breath, tooth decay, periodontal diseases, etc. Harmful bacteria are harmful to the wellbeing of the individual. One of the adverse effects of alcohol is dry mouth. Saliva which is present in the mouth is beneficial. It prevents bad breath; fights tooth decay, and it provides minerals to the teeth and the gums healthy. In alcohol drinkers, saliva content is reduced which in turn may cause problems related to the oral cavity. The imbalance of these bacteria not only affects the oral cavity, it can affect your general health by causing cardiovascular diseases and gastrointestinal problems. Bleeding gums is a problem which can be linked to heart diseases. This open wound lets bad bacteria containing toxins into the blood. Bleeding gums can cause diseases related to the heart or the nervous system. One of the easy ways to get rid of the harmful effects of alcohol is to drink plenty of water. Water washes away the residues of liquor from the tongue and replenishes the saliva. This could help retain good bacteria in the oral cavity. Dr. Ahn who is the Associate Director at the Perlmutter Cancer Centre has done research with her associates. They surveyed 1044 adults between the ages of 55 and 87. They analyzed the composition of microbes present in the oral cavity of these individuals. This group composed of 270 nondrinkers, 614 moderate drinkers, and 160 heavy drinkers. The study is not able to distinguish between the samples of beer or wine or any other liquor drinkers. The composition shows that there is a definite increase in the level of bad bacteria in the oral cavities for alcohol drinkers. The research is still not able to determine if by changing the composition of the microbiome could lead to healthier bacteria levels for alcoholic drinkers. But it is evident that some of the diseases can be prevented by the presence of good bacteria in the mouth cavity. More research must be done to get a better picture of how to address this issue. It is still not clear if alcohol kills good bacteria or it merely supports the growth of bad bacteria. There are many potential reasons for this microbe imbalance in alcohol drinkers. One possible reason could be that the acid present in alcohol may tend to destroy the good bacteria in the oral cavity. Alcohol when consumed further breaks down into chemical substances like acetaldehydes. It along with other harmful substances may cause an imbalance in the microbiome environment.